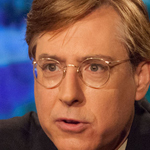 Thomas Frank is a political analyst, historian, journalist and columnist for Harper’s Magazine. 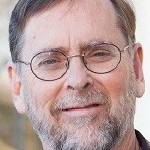 His writing focuses on the relationship between politics and culture in the United States. Mr. Frank has written several books, including What’s the Matter with Kansas?, which explored the rise of populist, anti-elitist conservatism in the United States that seemingly causes people to vote against their own economic interest. His most recent book is a scathing analysis of the modern Democratic Party. It’s entitled Listen Liberal: Or Whatever Happened to the Party of the People? Steven Hill is making his second appearance on the show. He is a writer, lecturer and a Senior Fellow with the New America Foundation and a frequent speaker on a wide range of topics related to politics, economics, climate change, global complexity, and future trends. Regular listeners to the Ralph Nader Radio Hour will remember our conversation with him about Uber and AirBnB, which was the subject of his book Raw Deal. His latest book is Expand Social Security Now! How to Ensure Americans Get the Retirement They Deserve.